These presentation slides 26105 are complete compatible with Google Slides. Simple download PPTX and open the template in Google Slides. 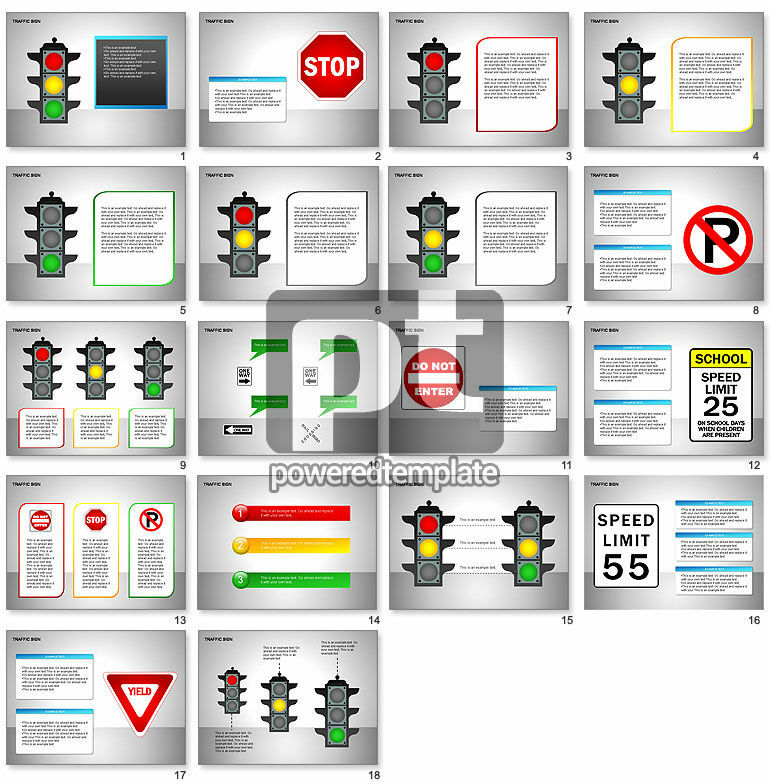 Great template with traffic signs for presentations on traffic rules, road regulations, safe driving, driving schools, driving restrictions, etc.